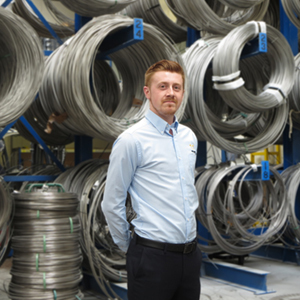 We are very pleased to announce that Scott Smith has today joined the Alloy Wire team here in Brierley Hill, U.K. to co-ordinate the despatch/shipping of all customers orders. Alloy Wire’s global Sales and marketing activity continues to grow. Working closely with the sales team, Scott will also support sales in maintaining their impressive record for achieving rapid quotation turnaround and prompt processing of customers’ orders.